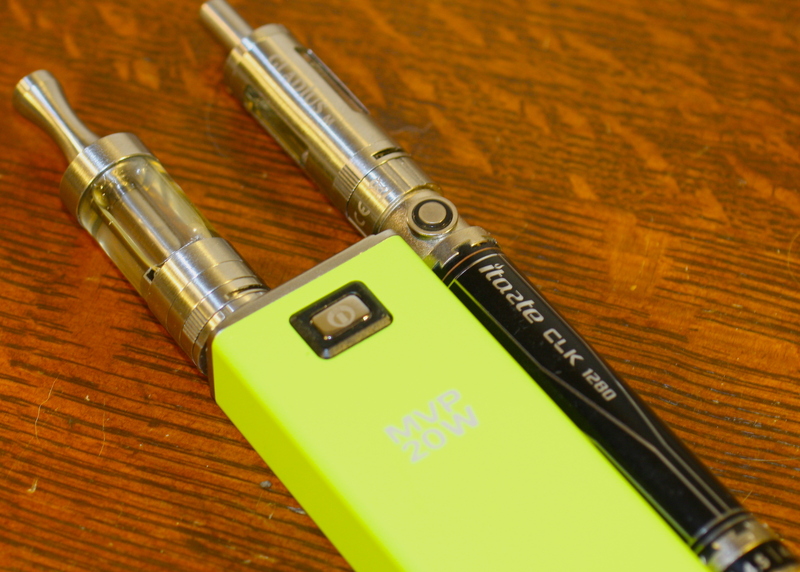 Innokin recently made some waves with its long-anticipated MVP 3.0 release. But, that was basically the latest in a very long line of releases in the past couple months. One of the releases that seems to have totally flown under the radar are a pair of updates to the Gladius tanks. In this quick review, I’ll correct that oversight and share these two hidden gems with the world. Disclosure, these products were furnished for review purposes by the manufacturer, Innokin. 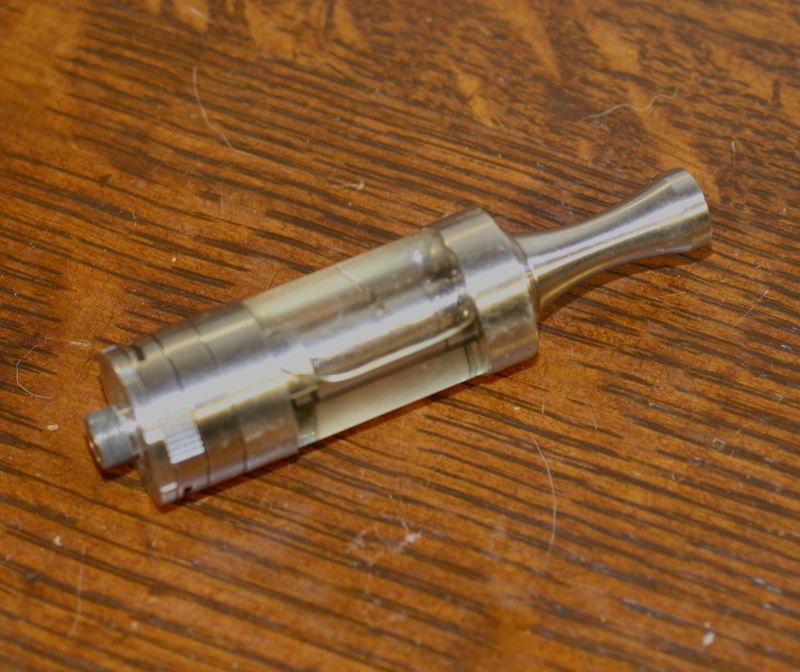 I found the original Gladius tank to be decent, but it had a problem with the heads just taking on a bad flavor after a fairly short period of use. The new tanks keep the best features (Pyrex and adjustable airflow) and spruce up the design. You may have noticed that I have been using the plural of tanks this entire review. That’s because there’s actually two seperate tanks. The Gladius M and the Gladius X. First up is the Gladius M. According to Innokin’s promotional material, the M stands for Mars. I’m just going to keep it simple and say the M stands for Mini. The M is the smaller of the two Gladius tanks. It features a native eGo connection and has a 2.5ml capacity. The tank design is fairly simple with no curves or anything unusual about the design. On the M, the Pyrex tank is sheathed in a stainless steel skin that features three long viewports to see the contents of the tank and keep tabs on your e-liquid levels. The only particularly odd thing about the M is the drip tip. It’s positively tiny. The topper is small not only in girth but length as well. 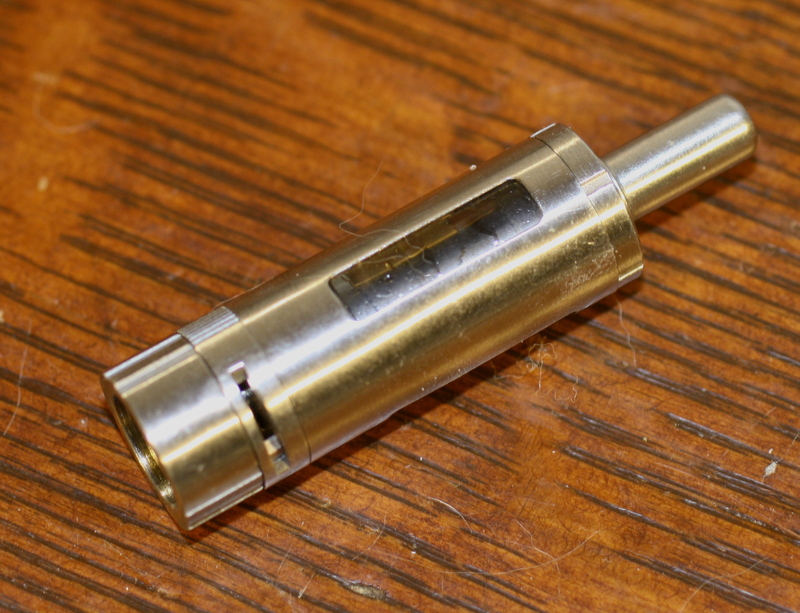 You pretty much have your lips on the top of the tank when using this diminutive drip tip. Despite the odd size, I found that tip provided a warmer vape than a traditional drip tip, or the longer one packaged with the Gladius X. In fact, the tip on the Gladius X is quite the opposite of the M’s mouthpiece. 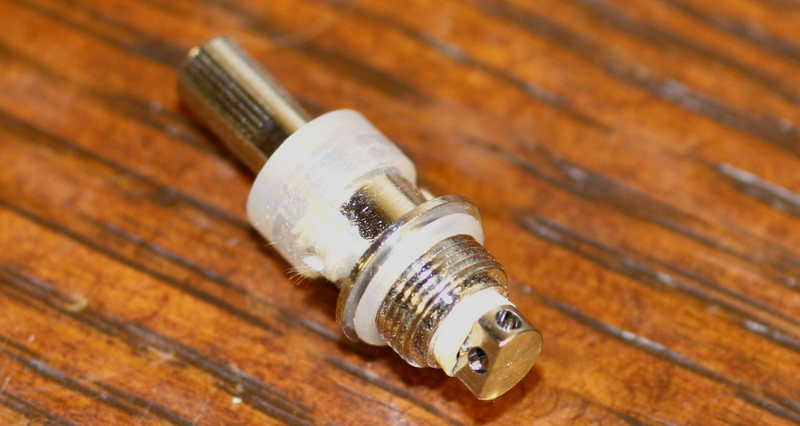 The drip tip is both taller than a typical tip and has a wide bore. It’s also more stylized with an hourglass shape. This shape provides a comfortable resting spot for the lips. And yes, the vapor seems a touch cooler coming out of the Gladius X because of it. Unlike, the M, near as I can tell the X pretty much bears no meaning at all. This is more or less the direct replacement for the original Gladius tank. It’s slightly bigger than the original with a 3.5ml capacity. It keeps the same sort of design aesthetic, ditching the M’s metals sheath it goes with the exposed tank look. Much like the M, there aren’t a whole lot of odd style choices going on here. This is just an elegant stainless steel and glass tank. Both tanks also share a number of features. That’s good since it’ll help me keep this review coherent. 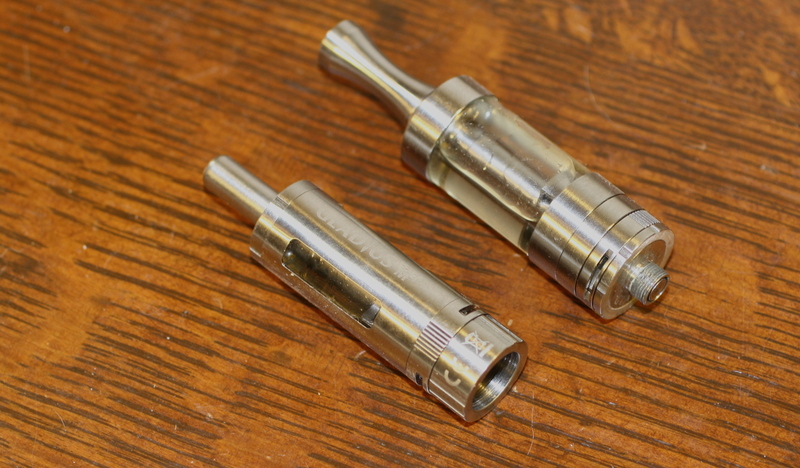 Each of the Gladius tanks use the same dual coil heads. These are a redesign over the original Gladius heads and seem to do a significantly better job providing e-liquid to both coils. That’s not to say these coils are like some of the new high-power juice guzzling monsters you find in stuff like the Subtank. These heads are garden-variety 2.0 or 1.5 ohm dual coils. They seem to operate the best somewhere in the neighborhood of 12 watts. This makes them click well both with Innokin’s new generation of products as well as the older gear that maxed out between 12 and 15 watts. You may also like: Kanger Unitank Review - Upside Down Bottom Coil Tank? Just because they have less power hunger doesn’t necessarily mean they are inferior to some of these mega tanks. Instead, it’s simply a different experience. The adjustable airflow ring each of these devices boast further helps to fine-tune the vapor experience. The rings are slotted as is the tank base beneath. That allows for a wide range of airflow adjustment, which is a nice feature. There’s no click setting, so the adjustment can creep around on you, but the ring is fairly tight so it doesn’t run all over the place at the slightest provocation. Of course, that’s not to say I’m not hoping Innokin will put out a mega tank of their own. I haven’t seen a lot of retailers carry these particular tanks, but I was able to find both at Misthub. PREVIOUS POST Previous post: Why are the authorities so keen to clamp down on electronic cigarettes?